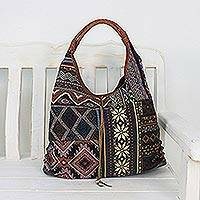 Featuring a geometric patchwork in colors of lapis and white, this exotic hobo handbag makes an excellent companion wherever you go. 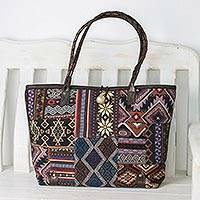 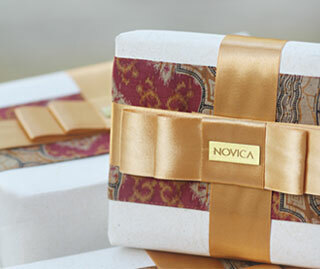 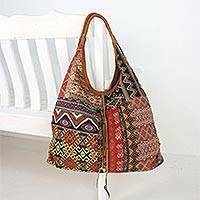 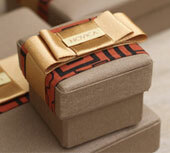 Hailing from Chiang Mai, Thai artisan Chirada designs the bag, handcrafting it of cotton blend fabric. 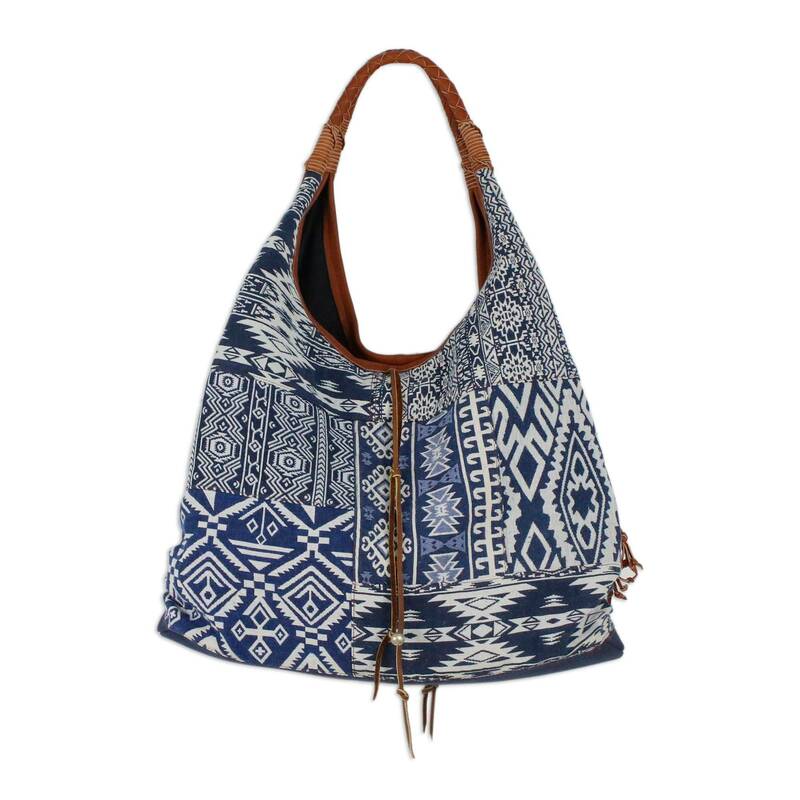 Leather accents and two braided straps complete it. 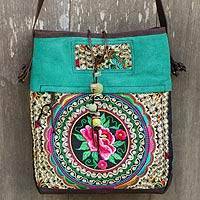 This handy shoulder bag features a central compartment that opens with a zipper flanked by two compartments with magnetic snaps. The fully-lined interior of the bag features various pockets for securing small items. 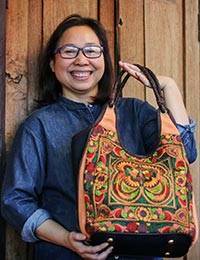 "My Mom is very happy about her new purse "